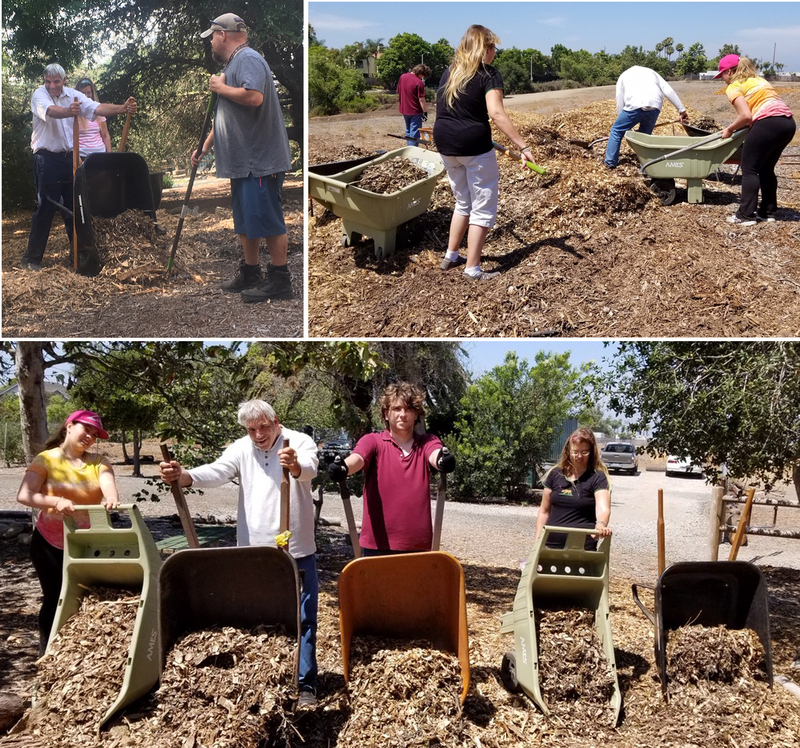 We have the hard workers from Project Independence to thank for spreading wood chips over Urban Forest paths on their weekly trips to the forest this fall. The chips not only soften the paths and blend beautifully with surrounding nature; they also serve as a barrier for unwanted, invasive weeds. 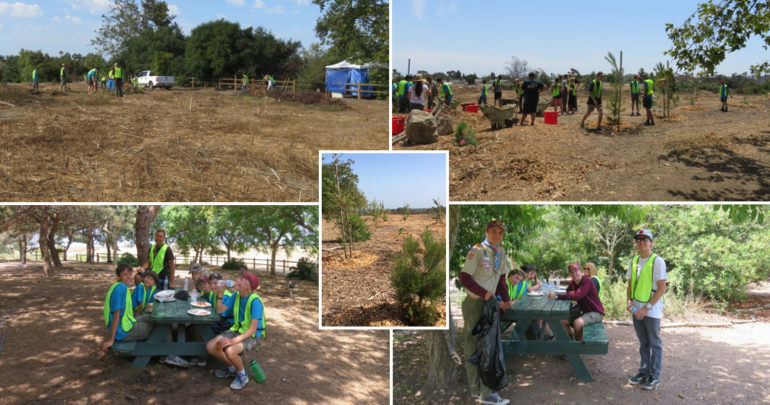 HB Girl Scouts, thank you for visiting the Urban Forest for fall 2018 tree planting! If you are walking near the parking lot entrance of the Shipley Nature Center and notice the newly weeded, mulched and planted areas, here are some of the folks who deserve credit. 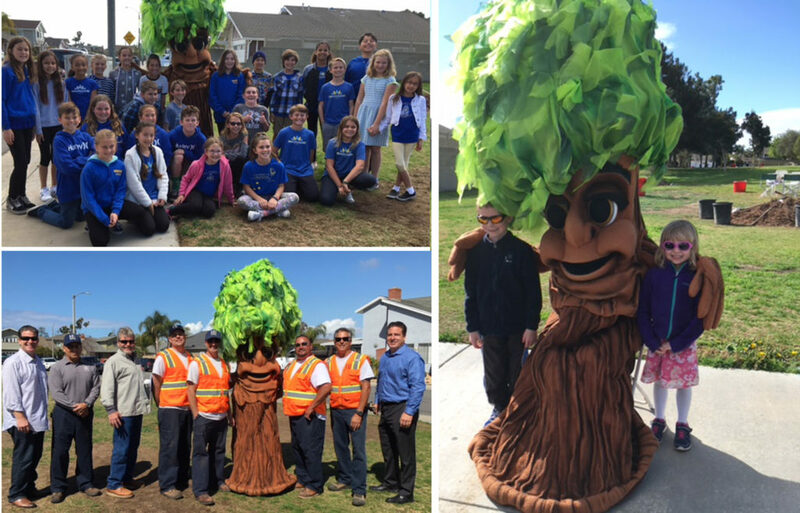 Arbor Day 2018 Celebrants –We marked Arbor Day at Drew Park on Wednesday, March 14, with the help of 30 students from Moffett Elementary School. A presentation included each student sharing something precious about trees. 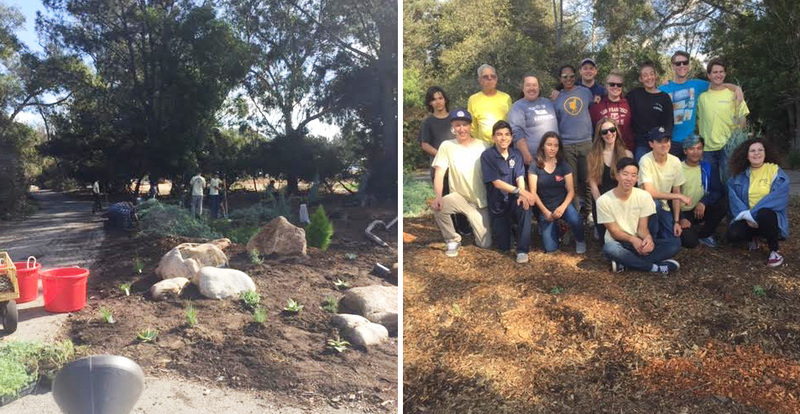 Following that, the HB Park, Tree and Landscape crew helped the students plant and mulch the new trees. The event was very special – tree-riffic! Eagle Scouts also helped out on a Saturday in July 2017, “sprucing up” and growing the Urban Forest! 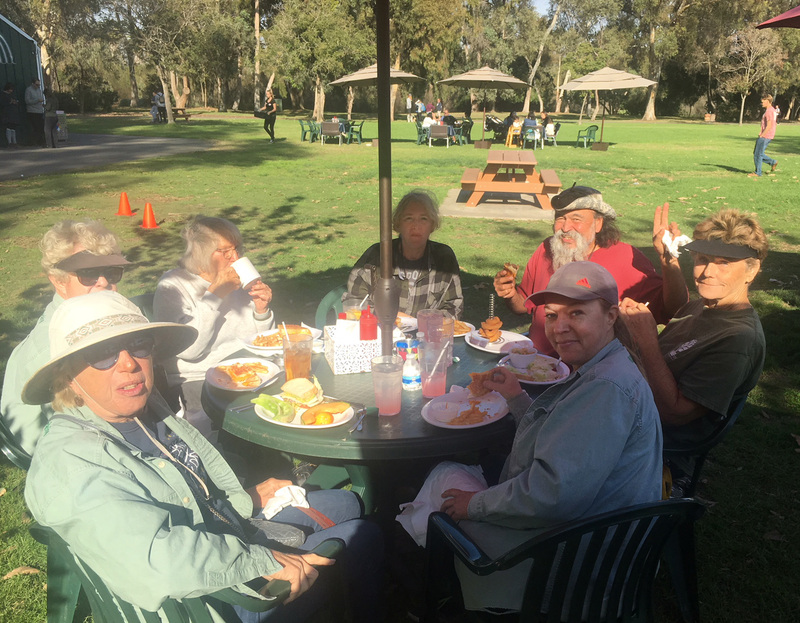 After Tree Society volunteers worked up an appetite landscaping the Shipley parking area they enjoyed a well-deserved lunch at the Park Bench Cafe. We welcome you to join us! Please complete the volunteer application. For more information, visit our Volunteering page.